One Email To Rule Them All [Infographic] | GUI Tricks - In Touch With Tomorrow! One Email To Rule Them All [Infographic] - GUI Tricks - In Touch With Tomorrow! Sending out emails in order to generate leads is one of the oldest tricks in a digital marketer's book. It's a simple, versatile and cheap tactic with great ROI and any digital agency worth their salt must keep this channel of marketing in mind. The channel’s effectiveness is what keeps it afloat. Even sending out a bunch of poorly constructed emails can generate results, so it's hardly surprising that strategically well thought out emails can do wonders for a project. However, the difference between poor email campaigns and the good ones is not a thin line. In fact, the gap is a lot bigger than you may think even though all outreaches of this kind follow the same guidelines. Bridging this rift primarily comes down to email optimization. As the main factor of the marketing channel in question, email optimization can truly make or break a campaign. What makes email optimization so vital? Simply put, optimizing the messages you send out to potential clients or customers maximizes the effect they have on readers. Email optimization is what makes the difference between someone receiving the email and actually deciding to open and click through it – which is, after all, the ultimate goal of every campaign. As such, optimizing emails can be considered the backbone of converting readers into leads. So, how do you create that ideal email? How do you compel people to open a particular message when there are 10 others sitting in their inbox doomed to be ignored and deleted? The following infographic will teach you all you need to know about the art of email optimization. It covers the most fundamental principles of email formatting and segmentation, having the right amount of personalization, balancing image and video integrations with text, etc. The guide also goes into some more advanced topics, teaching you about the finesses of automation, triggering, call-to-action structures and the overall importance of timing. 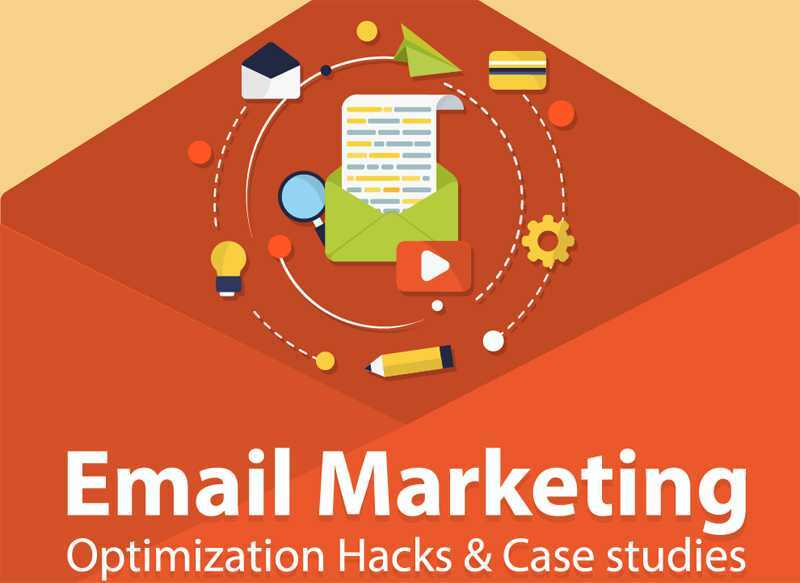 Presented in a concise and informative manner backed by case studies, the following selection of hacks and tricks will help you optimize every single email you send, which will maximize your reach and ultimately help you generate more leads. Regardless of whether you’re just getting started with your email marketing campaign or you’re trying to improve one that's not yielding results, you've come to the right place. Implementing these tips will give your email content extra value and relevance, and you’ll become armed with all the knowledge you'll need to become a master of optimizing a highly popular channel of marketing.